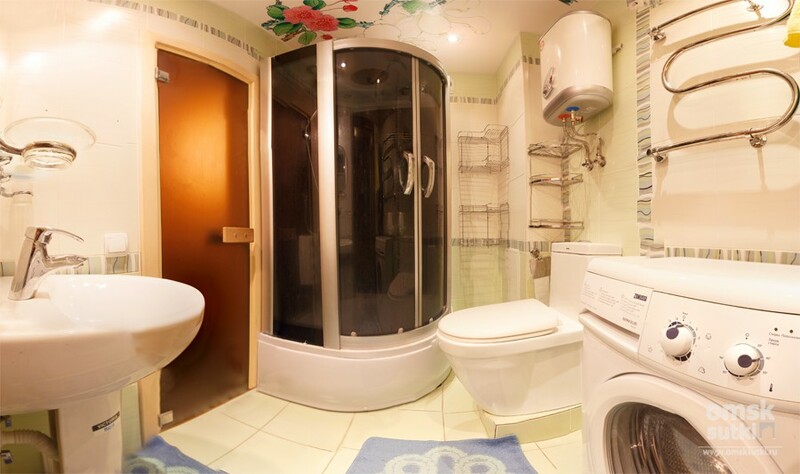 The main highlight of this two-bedroom apartments in Omsk, which will certainly attract our guests, is the availability of home sauna. 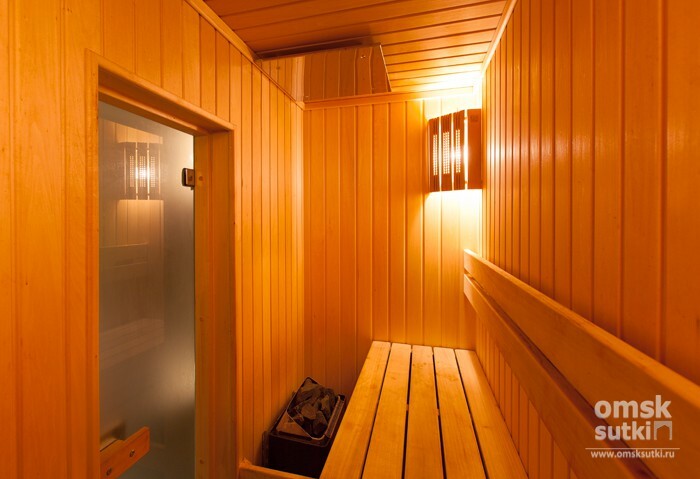 Its hot atmosphere is conducive to relaxation and recuperation. The other rooms of the apartment is also well-equipped. There are a wide screen TV, air conditioning and comfortable beds in each of them. There is a dedicated work area with access to the Internet. The spacious kitchen is equipped with all necessary appliances and utensils. There are a modern shower and water heater in the bathroom. 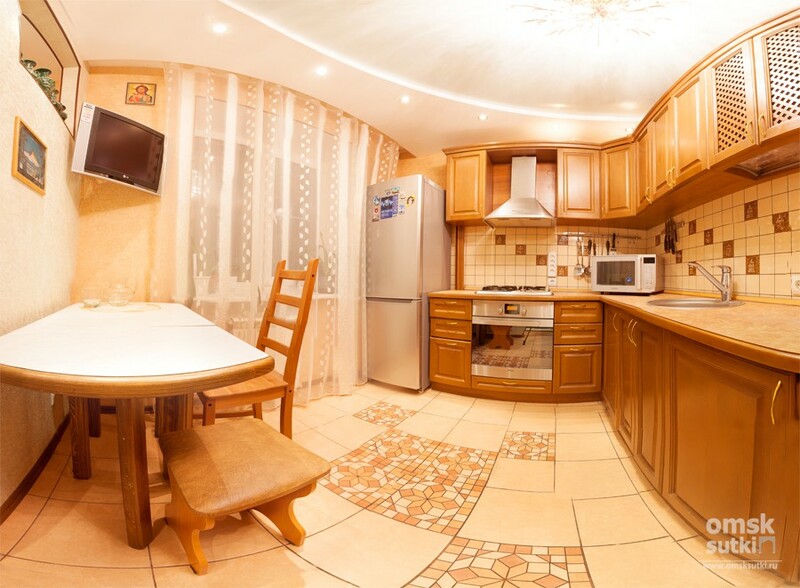 Developed adjacent infrastructure is a big advantage of this apartment for rent in Omsk.